Full disclosure: I'm not generally a fan of frozen prepared meals. I love to cook and most of your standard defrosted microwave meals don't really do it for me. 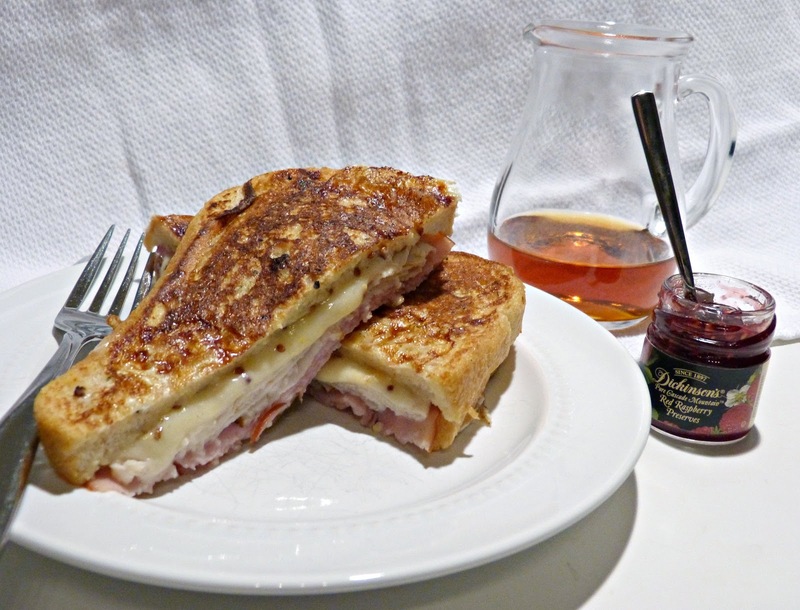 That said, when I heard about Good Food Made Simple's new line of entree meals I was intrigued. As a working mom, finding the time and energy to cook real healthy meals for my family is a struggle-- and while I can make it happen for dinner, I have usually run out of steam once it comes to packing my lunch. And if there aren't leftovers or something I have made ahead of time available, then I'm usually buying something not so healthy for lunch at the office the next day. Enter Good Food Made Simple. These new entree meals are made of organic ingredients and real foods like whole grains, organic veggies, and humanely raised meats. There is a huge variety of meals available and their focus on big flavor with simple ingredients was really appealing to me. I stocked up on a few and keep them in the freezer at work now. So no matter how crazy my evening is, I know I've got something hot and healthy waiting for me at work the next day. As I mentioned, Good Food Made Simple offers a huge variety of entrees (and you can find them in the freezer section at many local Target stores), but I had a few clear favorites: The spicy cream Buffalo Style Chicken, Hatch Chile Mac, and the Lemon Chicken topped my list. Spoiler alert: they all include pasta. Because, pasta. In all seriousness though, I was pleasantly surprised by the big flavor, al dente noodles, and fresh-tasting veggies that I found in these meals. And on a busy day at the office, something tasty, healthy and easy like this is exactly what I need! I've been on a hot tea kick lately. I love having a cup at work in the afternoon when I need a little caffeine jolt (but not one that's going to keep me up all night) or a little decaf herbal tea when I'm looking for a calming effect. Argo Tea is one of the best spots in Chicago for a wide variety of high quality teas and their new Garden Direct Collection is their most premium offering yet. The Garden Direction Collection is made up of over 24 different varietals in loose leaf format, each coming from a single estate in the world's best tea growing regions. I've become a huge fan of their Armenian Mint tea. It has a really refreshing mint flavor -- not the stale kind you might find in other run of the mill mint teas. As I mentioned earlier in this post, packing a decent lunch is next to impossible for me these days. The Eat Purely app has become another secret weapon of mine, ensuring that I get a healthy and delicious meal at the office. Eat Purely is a meal delivery service offering chef-crafted meals featuring locally sourced and healthy ingredients. They feature a few different entrees for both lunch and dinner every day. You simple order it on the app, select the timeframe in which you'd like it delivered, and then your Eat Purely meal shows up at the curb for you to pick up. The app also displays the menu for a week at a time and allows you to order in advance, which is great for planning purposes. I have ordered Eat Purely a handful of times and haven't been disappointed yet. Some of my favorites so far have been the veggie burrito bowl (I've ordered it twice! ), the spiced Moroccan chicken with couscous and roasted vegetables, and the savory penne with squash, kale, and mushrooms. The meals are substantially portioned (I actually couldn't even finish the pasta dish, which is rare for me) and if they need reheating, simple instructions for the oven, stove, and/or microwave are included. Do you live in Chicago and want to give Eat Purely a try? Download the app and use code ANNEC4 and get $10 off your order! This rice is so delicious! Basmati on its own is great rice-- it has such a nice light and fluffy texture and it is perfect for pairing with saucy dishes. So when I heard that Amira was coming out with a smoked version, I was intrigued and definitely wanted to give it a try. As soon as you open the bag of rice you get a whiff of that smokiness that permeates all of the rice in the bag. From a health perspective, it is a naturally gluten-free product that has been proven to help with weight management and aids in good digestion and healthy skin too! I combined the smoked basmati rice with some fresh lime juice and cilantro, making it the perfect base for a Mexican rice bowl. And this simple, hearty and flavorful dish turned out so great that I can't wait to share the recipe with you soon! Editor's Note: Complimentary samples of some of these products were provided in order to facilitate this post. The opinions expressed, however, are my own. Thank you for supporting the brands that support A Squared! 1. 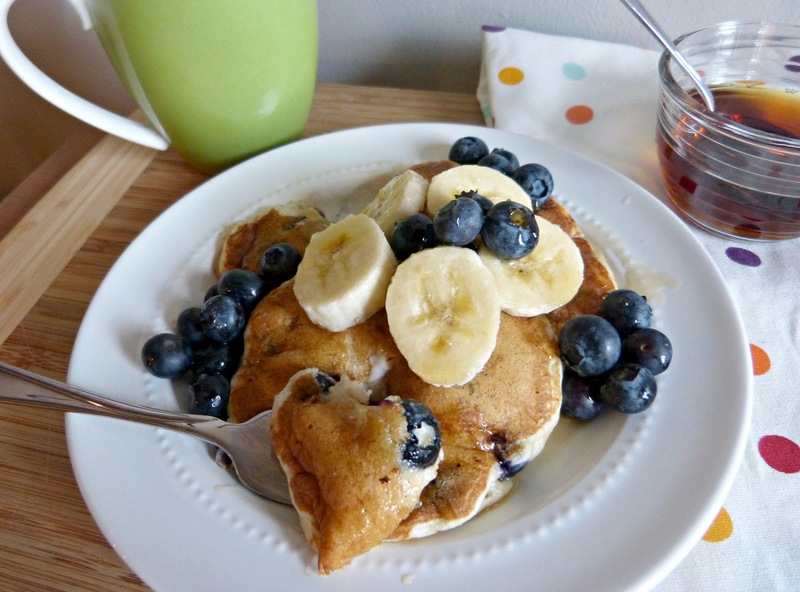 Blueberry Banana Buttermilk Pancakes - The blueberries in these pancakes will soften and burst with cooking, but just remember to cut up any berries or bananas for topping (and also the pancakes) into baby-safe pieces. 2. Herbed Cauliflower & Yukon Gold Puree - This smooth puree is delicious for adults and babies and a great way to introduce baby to the flavors of fresh herbs against the more subtle flavors of cauliflower and potato. 3. 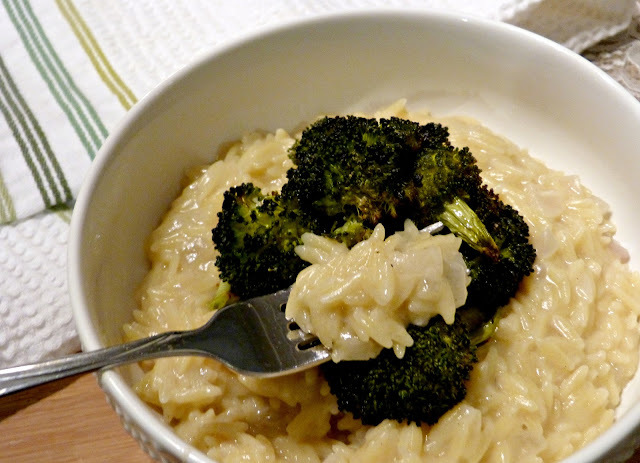 Cheesy Orzotto - Like mac and cheese, but the orzo is already small enough for tiny mouths. Sub in more chicken broth for the white wine and season with shallots and salt/pepper at your discretion! 4. 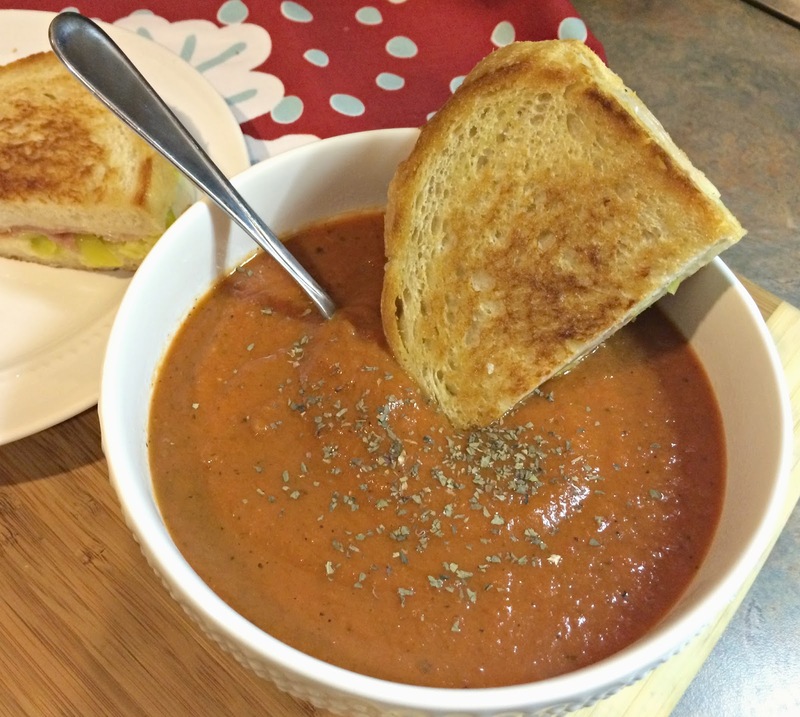 Fire Roasted Tomato Soup - Soup is a fun way to introduce new and bolder flavors to a baby in a format that's easy to spoon feed to little mouths. Just be sure to serve lukewarm and leave out the red pepper flakes in this recipe. 5. 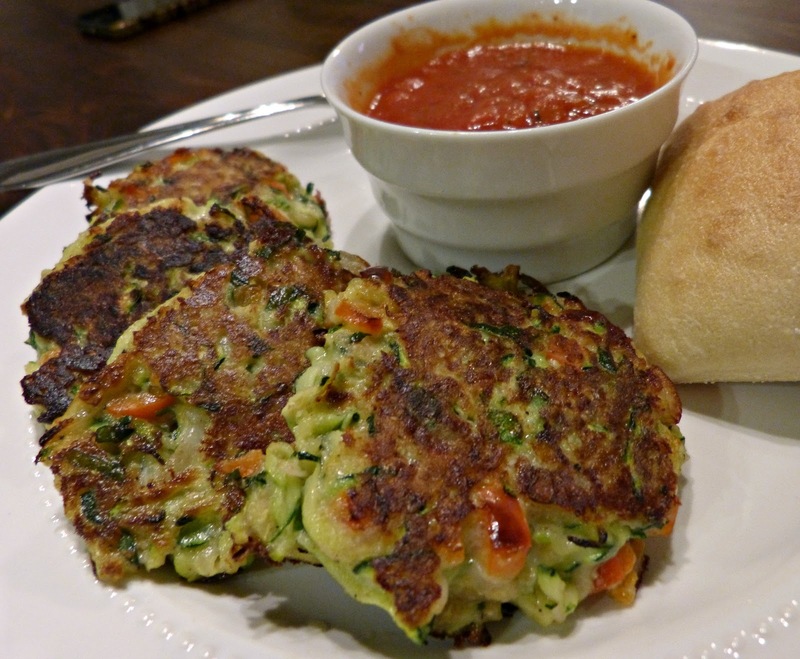 Cheesy Zucchini Cakes - Omit the red pepper flakes from this recipe and you've got a perfect hearty, but vegetarian finger food for your little one. 6. 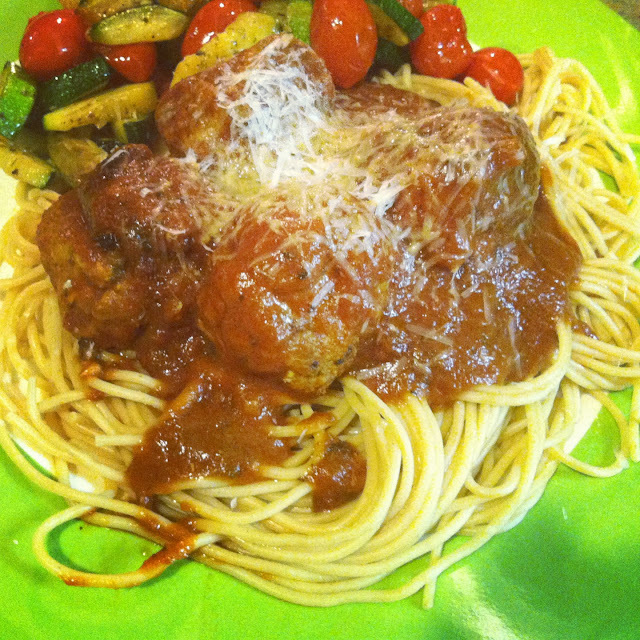 Italian Turkey Meatballs - Turkey meatballs were one of the first meats that we introduced to Hannah and she loved them! Leave out the red pepper flakes and cut these into pea-sized pieces for baby to enjoy as finger food. 7. 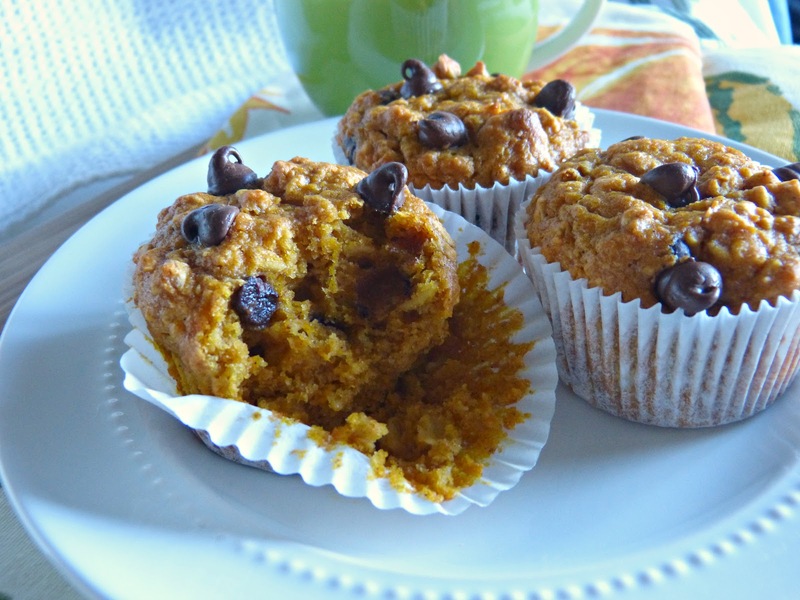 Pumpkin Oatmeal Chocolate Chip Muffins - Pumpkin puree was one of the first foods that I introduced to Hannah and muffins are another fun finger food for her to experiment with. Leave the chocolate chips out for baby and serve as a fun snack. 8. 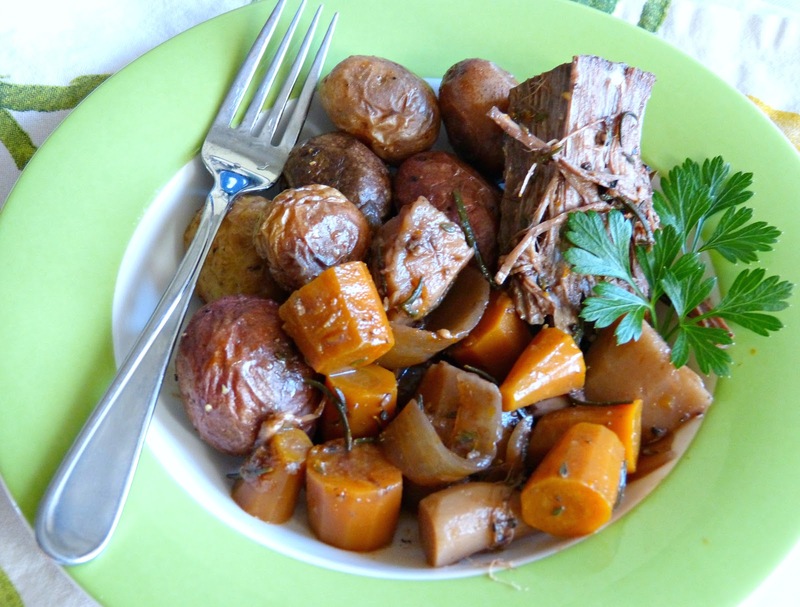 Slow Cooker Pot Roast with Root Vegetables - The slow cooker is my go to way to prepare Hannah-friendly meat. It cooks low and slow so it is soft enough for babies without a full mouth of teeth to chew-- and includes some hearty root vegetables too. Just omit the hot sauce and enjoy! 9. 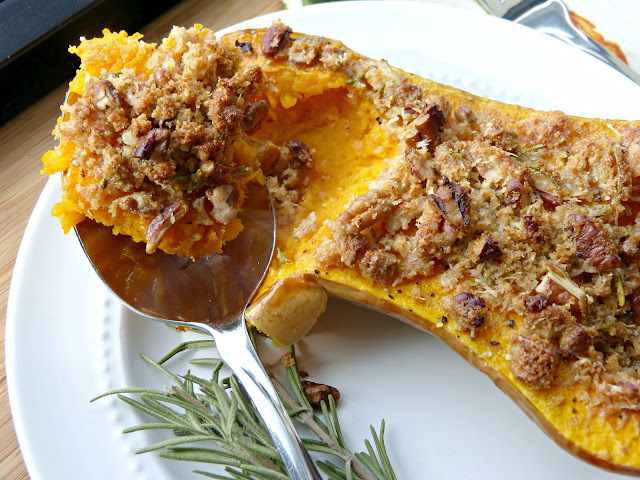 Butternut Squash with a Rosemary Pecan Parmesan Crust - Roasting the squash gives it the same soft texture you'd get from a puree, but this crust adds some nice new flavors. Just make sure the herbs are chopped fine and leave out the pecans for baby. 10. 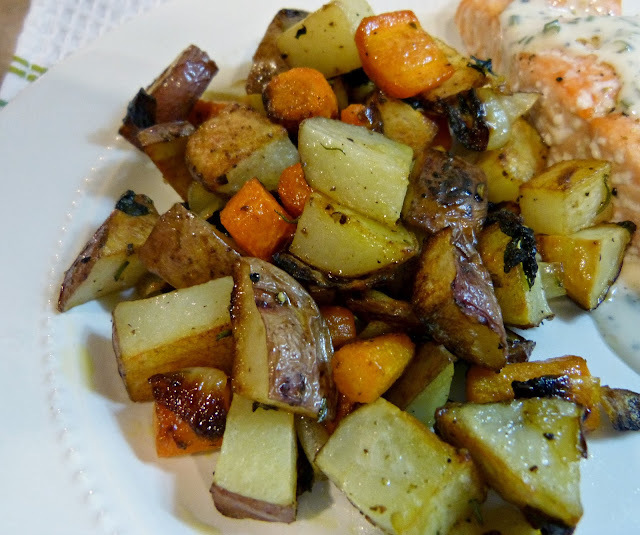 Herb Roasted Carrots & Potatoes - This recipe does call for onions, but you could leave them out if you'd prefer not to introduce them to baby quite yet. I'm ashamed to say how long it's been since I had a true girls night out-- one without babies, without husbands, and one where I actually put on makeup and did my hair. As if they were reading my mind, the amazing people at Eddie V's Prime Seafood invited me in for dinner recently and I thought this would be the perfect opportunity to enjoy some rose, catch-up, and great food with my best friend... and I was right! Eddie V's is perfect for girls night or a date night because it feels glamorous as soon as you walk in the door: You're greeted by cool blue lighting, live jazz music coming from the bar, and a super attentive staff. Alexis and I stopped in for a later dinner on a Saturday night and the restaurant was busy, but the service was flawless. We loved our (conveniently named) server Eddie who walked us through the menu from start to finish and helped us select the perfect combination of dishes for our night out. After glancing around the dining room and noting the generous entree portion sizes, Alexis and I decided to start our meal with something fresh and simple and we split the Heirloom Tomato Salad. They split the salad for us and we were each presented with a gorgeous thick slice of yellow heirloom tomato topped with shredded basil, creamy bufala mozzarella, and a touch of olive oil and balsamic vinegar. I love a well done caprese and this was the perfect way to start our meal. Selecting our entrees was tough! Eddie V's is known for their seafood, of course, but they also offer a great selection of chicken, beef, and steakhouse-inspired entrees as well. There's really something for everyone on this menu. We both decided that seafood seemed like the appropriate choice here and ordered the North Atlantic Lemon Sole and the Jumbo Gulf Shrimp-- because best friends strategically order entrees that they can share with one another, of course. The sole was amazing. A large filet of flaky white fish was perfectly breaded in a Parmesan and panko crust that was crispy and not at all greasy or heavy. It was topped with a flavorful lemon garlic butter and finished with a simple tomato and herb salad. 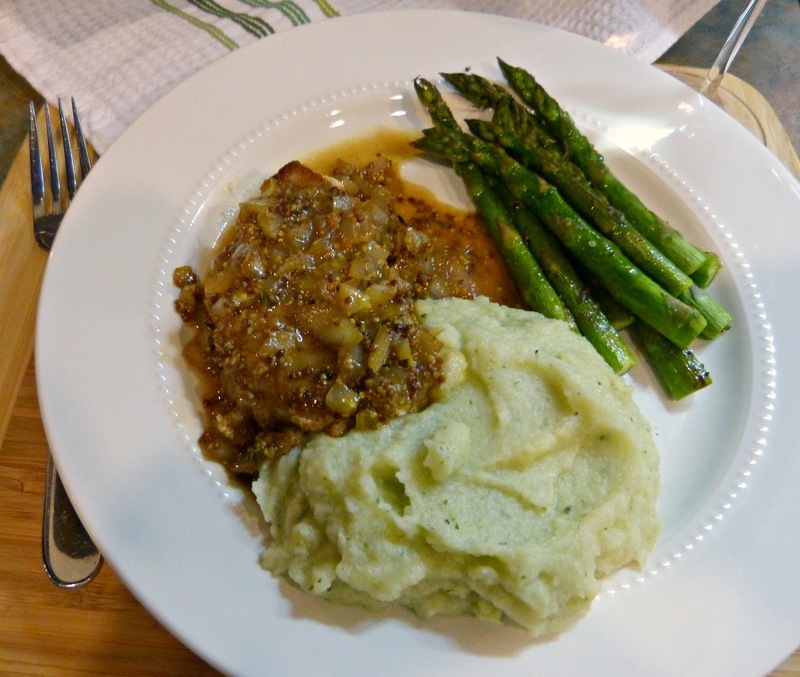 I loved this simple and delicious almost Milanese-style preparation. The Gulf Shrimp was indeed jumbo and also an excellent entree choice. This shrimp was grilled until tender and served "oreganata style:" Topped with a combination of fresh herbs, garlic, breadcrumbs, and shallots in a buttery white wine sauce with a hint of mustard. The shrimp had great flavor and was made a little more decadent by the addition of fresh jumbo lump crab meat. One of my favorite things about dining at upscale steak and seafood spots is the a la carte side dish menu. I love being able to choose exactly what I want as a side dish for my entree-- and to order a few to share with my dining companions! At Eddie V's there is no shortage of great options and we finally settled on three: The first-- and a no brainer for us-- was the Brussels sprouts. 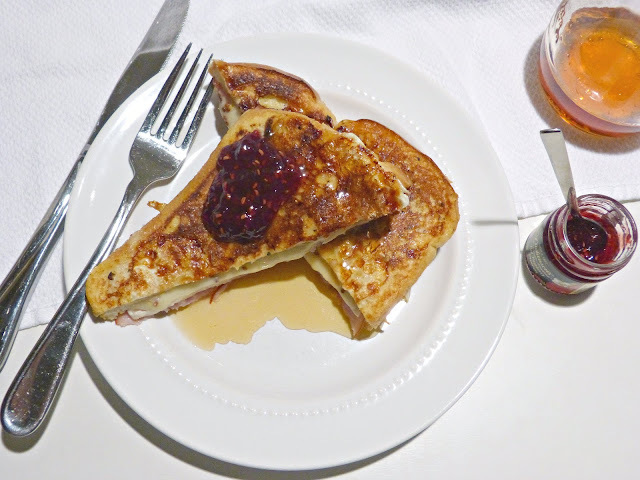 They're sauteed with bacon and shallots, so there's tons of amazing flavor. And they have that great caramelized texture that you want in a Brussels sprout. We also ordered the Roasted Beets with Candied Walnuts. I love roasted beets and these were so simply prepared, but so tasty. Beets have that great earthy taste, so pairing them with the sweet candied walnuts (which add a good crunch) and a hint of citrus flavor was wonderful. Lastly, we both raised an eyebrow at the sound of Butter Poached Lobster Mashed Potatoes and knew we needed to try them. They sounded way too decadent not to and we hadn't indulged in any lobster in the rest of the meal, so it only made sense. Wow, these were something else! A generous portion of creamy mashed potatoes is topped with tender buttery lobster and then finished with rich gravy. This is totally the kind of side dish you'd expect at a prime steak or seafood restaurant-- in fact, this would be a fabulous "surf" side to your "turf" entree-- with large whole pieces of lobster (not tiny bits and pieces) over cheesy mashed potatoes. And I'm not even much of a gravy fan, but this whole side dish was really a showstopper. And speaking of showstoppers, let's talk about dessert. Eddie V's offers a great selection of housemade desserts, but they are known for their Hot Bananas Foster Butter Cake so we opted to share that. Our server Eddie presented the dessert and then really wowed us with a little tableside flambé. The flambé cooked the alcohol out of the rum sauce and warmed the butter cake, which paired perfectly with the scoop of butter pecan ice cream served on the side. This dessert was everything you'd imagine it to be: warm and gooey and buttery cake, brown sugary sweet bananas, and cool scoop of ice cream to round it out. A delicious end to a fabulous dinner! Editor's Note: A complimentary meal was provided in order to facilitate this post. All the opinions expressed herein, however, are my own. Thanks for supporting the brands that support A Squared!